Selective sync can save you a lot of time and headaches! 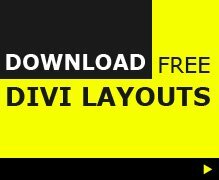 I wanted to update the look of the Divi Plugins page, but realised that updating the custom design settings in one of my modules would mean having to do the same in all the others. A real pain… I knew there should have been a better/easier way and so, i found selective sync for Divi library items. With a bit of forward planning this nifty feature will make design changes down the line a breeze, so don’t make the same mistake i did! Wath the video below to see how selective sync works in the Divi theme and if you have any creative uses for selective sync, let us know in the comments below.